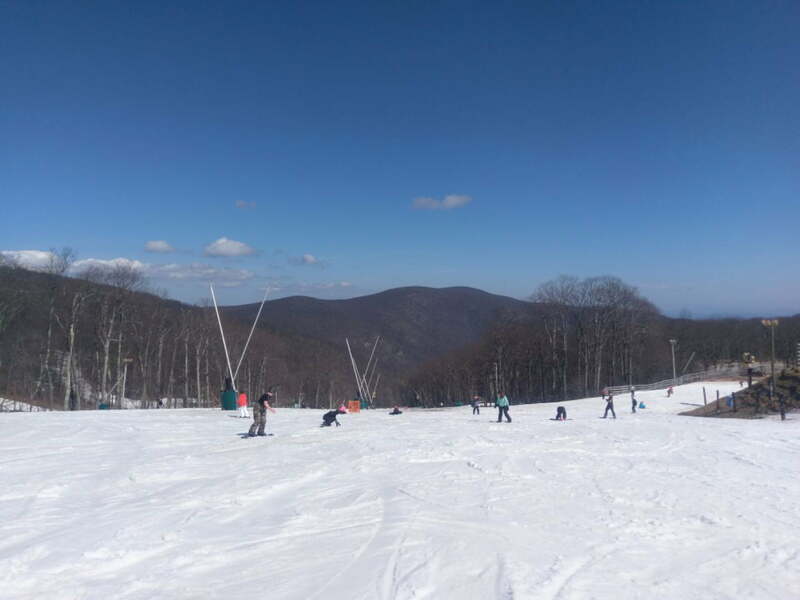 Spring skiing and snowboarding at Wintergreen. I’m feeling like a broken record this morning as mild temperatures persist once again. It’s even a few degrees warmer this morning compared to yesterday. One resort was already at 60 degrees at 8am! The warm trend is going to continue for at least the rest of the week and some showers are also in the forecast. Ugh. I hate being the bearer of bad news this week in terms of talking about ski areas closings. Unfortunately, I have another one to mention today. That would be Beech Mountain Resort who has really seen the worst of Mother Nature’s wrath during the month of February. Significant rain events, warm temps, snow eating fog, and lift issues have made a rough go of it for them in recent weeks. They’ve made the decision to shut it down for the season after Saturday’s session (as of now that could change). That’s probably a good call as the base cam out there has shown the snow quickly retreat in the past several days. As I’ve mentioned the past few mornings, make sure to keep checking back all week for any more closing announcements that should come out. Massanutten noted on their snow report this morning that “the record warmth is certainly taking it’s toll on the snow” and that is applicable to any resort in the region. Some resorts are faring much better than others. The image at the top of this post was taken at Wintergreen Resort yesterday afternoon and it shows great coverage. Some other notables include Snowshoe and Wisp, who probably have the best looking conditions right now of any resort in the region. Check out the image below which shows the 48 hour transformation of things at Wisp. Whoa! The ski areas are fighting the good fight, but Mother Nature sure has it in for us. The rest of the week will see continued warmth with showers in portions of the region. If a ski area can make it to March then they should be able to sustain operations though as that pattern change that Panovich talked about yesterday still looks like a good possibility. The longer range models both agree that cooler temps will return in the beginning of March. 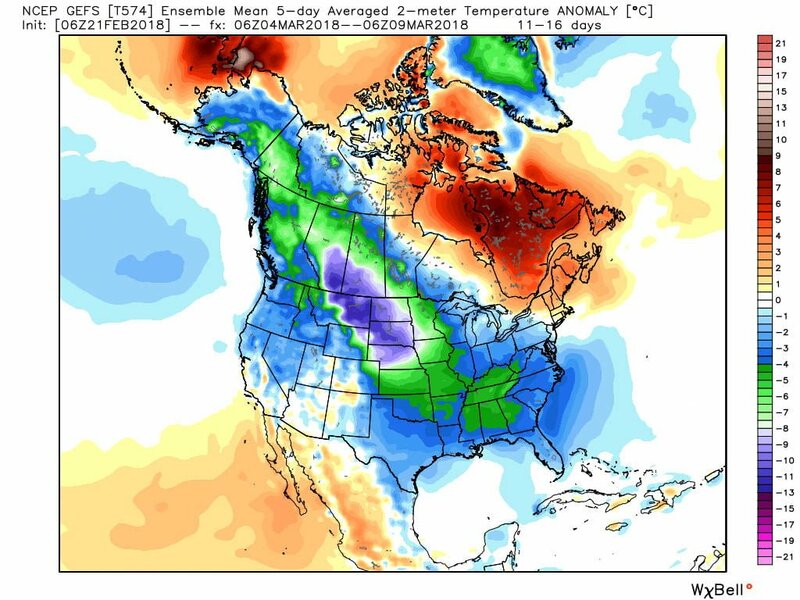 Below is the average temperature anomaly for March 4th through 9th as depicted by the GFS ensemble model. You can see the Southeast is blue and green, both of which are good. For now, it’s a waiting game and we’ll just have to wait for the return of more seasonable temps. There’s still plenty of snow at many resorts though, definitely enough to have a day of fun on. You can scan through all of the ski cams to see what I mean. It’s never too late to start planning for next year and there are some 2018/2019 season pass sales going on right now. 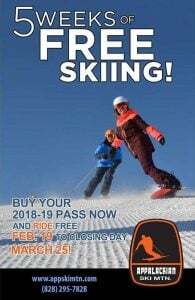 Cataloochee is in the midst of their “Big Big Season Pass Sale” where you can get a decent discount on a variety of season passes. You can also use it for the rest of this season, however long that might be. Admittedly, the verbiage is kind of weird and there are some blackout dates so just click the button below to get some more information. Appalachian Ski Mountain is also selling season passes for next season and like Cat, you can use it for the rest of this season as well. Ski or ride FREE from Feb. 19 through the end of the 2017-18 season (Mar 25) with a purchase of your 2018-19 season membership! With a season membership, you can ski all winter long for the price of about 8 ski tickets. Drop in anytime, when you only have the time to ski for an hour or two, and take advantage of your chance to ski without worrying about the cost of an unused ticket. Membership benefits include free parking and a gated members’ parking area closest to the lodge. Finally, Snowshoe will begin selling their Ridiculous Pass beginning March 6th. This is by far the best pass deal in the region and for just $229 you get unlimited skiing or snowboarding for the rest of this season and next. 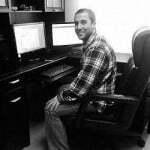 There are some other perks as well that you can read by clicking the link below. We’ll be posting more about this once it goes on sale. Before I go, I’d like to remind you all about the Ski Southeast Summit at Snowshoe Mountain next weekend. If you can make plans to join us we’d love to see you! The Shoe still has almost the entire mountain open still and there should be plenty of trails open next weekend, especially if we can get some colder air to return by then. Regardless, it’s always a fun time to see everyone, make some turns, have some drinks, and hang out.